A new report from the Royal College of Paediatrics and Child Health (RCPCH) warns that the health and well-being of children is falling behind many other European countries. 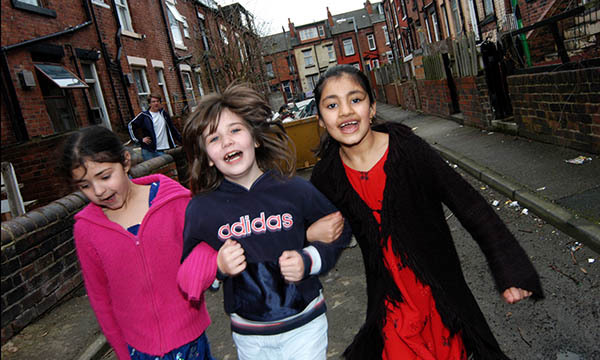 The State of Child Health reports concludes that one in five children in the UK are living in poverty and inequality, and warns there is a ‘clear disparity’ emerging between the UK and the best performing European countries. The report says this has happened after a ‘slowing of progress’ since the 1990s following the improvements in child health during the 20th century after looking at 25 different measures. The UK ranks 15th out of 19 western European countries on infant mortality – twice as high in the lowest socioeconomic groups compared with the highest. Smoking rates in pregnancy in the UK are higher than in many European countries. In Lithuania and Sweden 5% smoke, compared with 19% in Scotland, 16% in Wales and 15% in Northern Ireland. One third of babies in the UK are wholly or partially breastfed at six months, compared to seven in ten babies in Norway. There has been little improvement since 1975 with breastfeeding rates nearly 50% higher in affluent areas. Across England, Scotland and Wales more than one in five children are overweight or obese at the start of primary school – rising to four in ten in the most deprived areas. One in ten children and young people have asthma – one of the highest rates in Europe. The number of deaths and emergency admissions are also high. Amid concerns about poor blood glucose control, type 1 diabetes is becoming increasingly common with those from deprived and black and minority ethnic groups much more likely to be affected. The report went on to highlight the cuts being made to public health in England as being a major concern – by 2020 council budgets for services will fall in cash terms by almost 10%. As a number of the services they fund are demand-led, such as sexual health clinics and alcohol support, preventive work is considered to be the most at risk. School nursing, in particular, was highlighted by the RCPCH. The number of school nursing staff has fallen by 12% since 2009 to just over 2,570 on last count, according to NHS Digital. School and Public Health Nurses Association professional officer Sharon White says that as a result nurses are spending much of their time on safeguarding and child protection rather than preventive care. ‘The public health role is being eroded and minimised. Commissioners make the excuse that it’s a non-mandated service, therefore, it is an easy casualty. The future is also uncertain for health visiting, even though there has been significant investment in the sector. The coalition government promised to increase the number of health visitors by 4,200 between 2010 and 2015 – a rise of 50%. In particular, she says there needs to be more advanced children’s nurse practitioners which, she says, play a vital role in treating and diagnosing unwell children and running clinics for those with long-term conditions. Each devolved government to develop a child health and well-being strategy. UK government to introduce a ban on the advertising of foods high in saturated fat, sugar and salt in all broadcast media before 9pm. Each government to develop cross-departmental support for breastfeeding. Expansion of height and weight measurement programmes of infants and children after birth, before school and during adolescence. A reversal of public health cuts in England. Introduction of minimum unit alcohol pricing in England, Wales and Northern Ireland, in keeping with actions in Scotland. Extend the ban on smoking in public places to schools, playgrounds and hospitals. Ban the marketing of electronic cigarettes to children and young people. The Department of Health in England says difficult decisions had to be taken on council finances. But it says ministers have shown they are prepared to take ‘tough action’ by banning smoking in cars, introducing a soft drinks levy and publishing a child obesity strategy. Scotland’s public health minister Aileen Campbell says the Scottish government will be producing a child health and well-being strategy soon. Meanwhile, Wales and Northern Ireland say they are seeking to address inequalities in their child health programmes. Integrating services is seen as vital to improving the health of children. In East Cheshire the different services have done just that by incorporating the five mandated health visitor checks with the wider under-fives support to create a 12-stop parent journey from pre-birth to starting school. This has been achieved through a partnership between the area’s early years, family services and health visiting teams and sees staff at children’s centres and health visitors working closely so that when specialist help is needed – whether it is for breastfeeding, postnatal depression or parenting support – it is provided quickly.